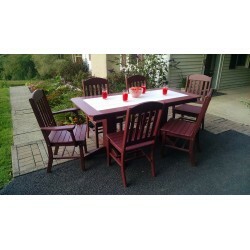 You and your guests will enjoy this poly patio set. 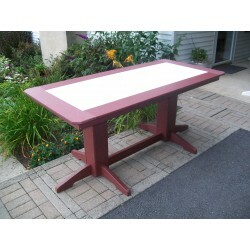 The set includes a 60" rectangular dining table and four (4) matching classic dining chairs. 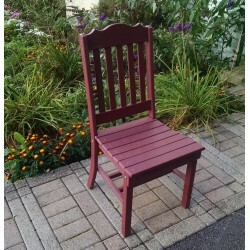 Product picture has 6 chairs, but the set only includes 4.